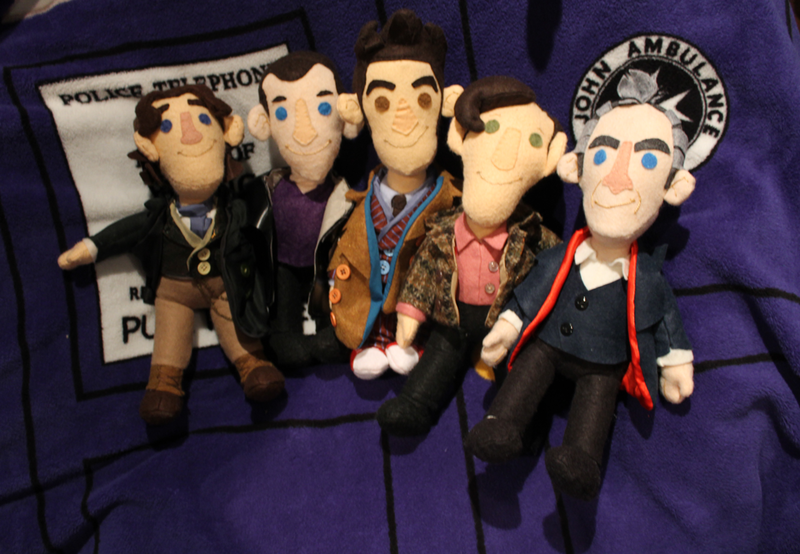 Plush toys of the BBC Doctor Who’s reencarnations of the Doctor, played by Paul McGann, Chris Eccleston, David Tennant, Matt Smith, and Peter Capaldi. 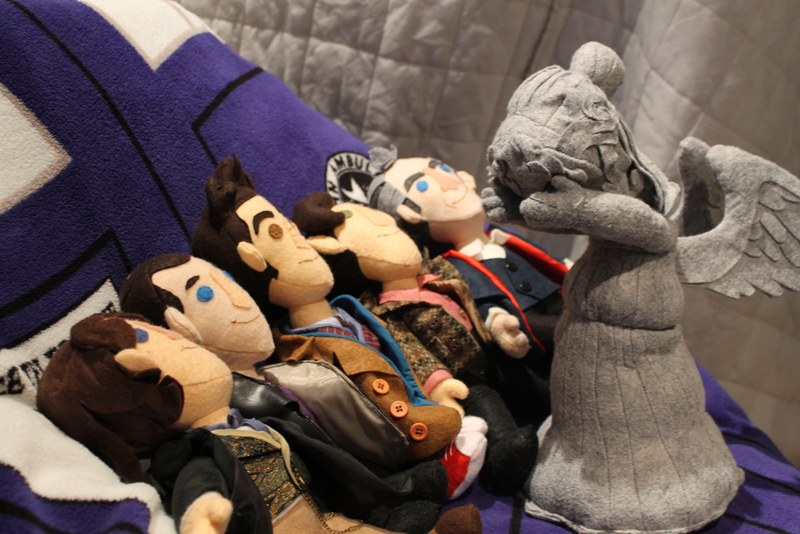 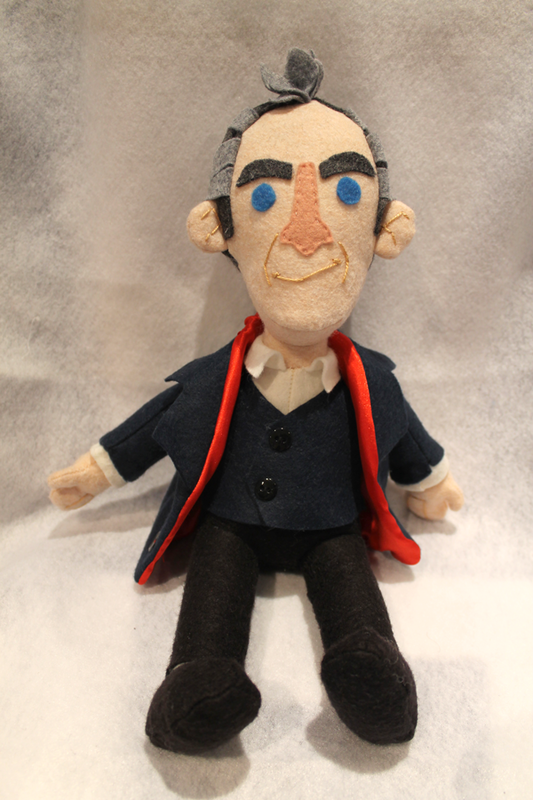 The 12th Doctor plushie was featured by BBC America at their SDCC booth in 2015. 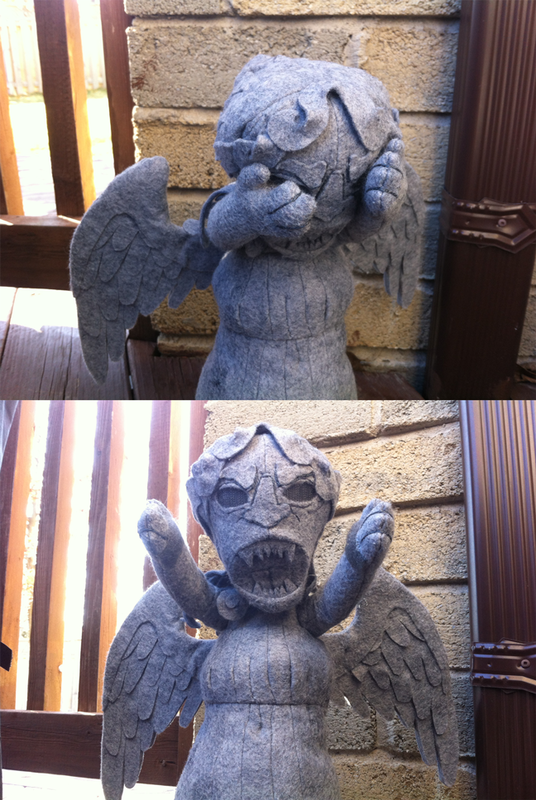 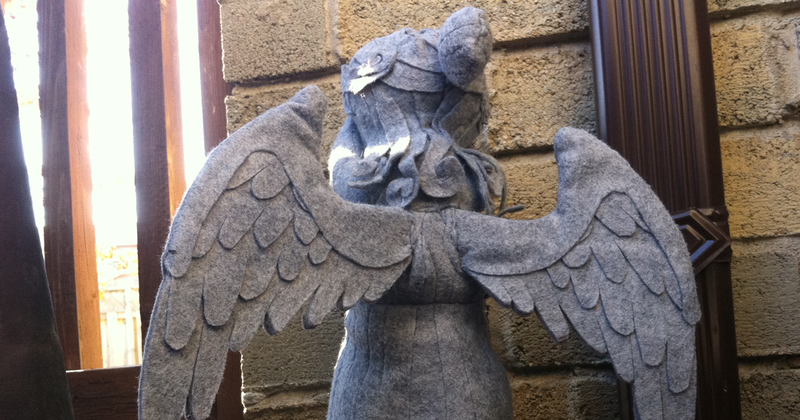 The Weeping Angel plush is poseable with velcro eye-hand options and thick firm wings.